Home » Characters » Uncle Leo – Jerry! Hello! Uncle Leo is the eccentric brother of Jerry’s mother, Helen. Whenever he bumps into Jerry, he always greets him with an enthusiastic “Hello!” Uncle Leo often catches Jerry when he is in a rush but he knows how it is because he has plenty of friends in show business. He often brags to Jerry about his son Jeffrey’s accomplishments working in the Parks Department. Uncle Leo has a tendency to grab the person’s arm when he talks to people. Jerry jokes that this is because so many people have tried to escape in the middle of his conversations. Jerry throws out a watch his parents gave to him because its can’t keep time and causes him to be late. He runs into Uncle Leo on the street who picks the watch out of the garbage after Jerry and George leave. Jerry tries to give his father money when he loses his wallet, but Morty refuses to take money from his son. While trying to give his father the money in a new wallet, Morty throws the wallet in the garbage because the watch is made with velcro. Uncle Leo picks up the wallet out of the garbage along with the money. Jerry has dinner with his parents and Uncle Leo. When he learns that Leo picked up the watch he threw out in the garbage, he tries to buy the watch back. Jerry thinks that his girlfriend Amy is cheating on him with his cousin Jeffery. To Jerry’s surprise, Uncle Leo appears in Jeffery’s apartment to give him Paul Simon tickets when trying to catch Amy in Jeffery in the same room. Jerry’s Nana calls him to come over and open up a bottle of ketchup at her apartment. When he arrives, Uncle Leo is also there. Confusing an incident from Leo’s childhood Nana asks if he gave $50 to Jerry’s mother. When Jerry tells his father about the story, Morty is furious and calculates the interest on $50 after 50 years. Later, Uncle Leo puts Nana in a nursing home to silence her from talking. 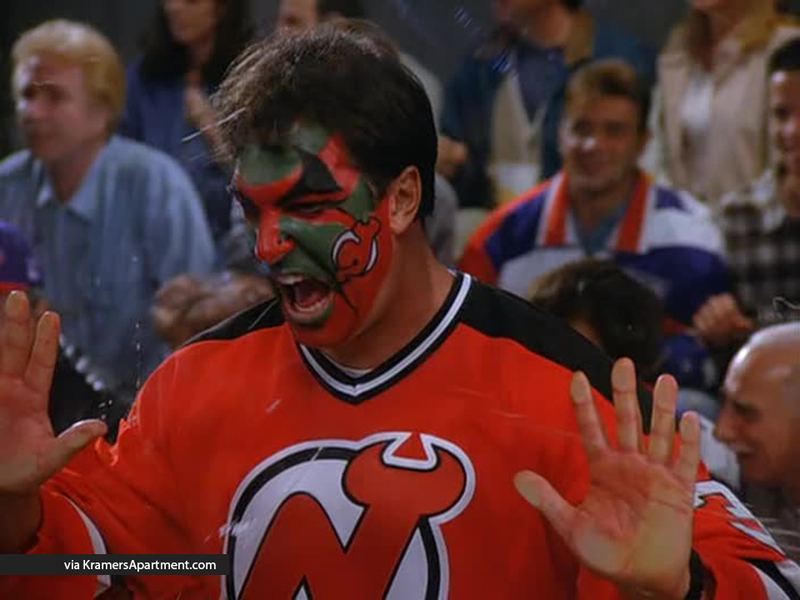 Jerry gets fleas from Newman while his parents are in town, luckily Elaine has a free room at the Plaza Hotel and agrees to let them stay there. Morty, Helen, Uncle Leo and Nana run up a huge bill using room service, pay-per-view movies, massages, and expensive food. Jerry visits his parents in Florida when his father is honored by the condo association. Uncle Leo attends the ceremony with his wife Stella who makes her only appearance in this episode. Leo receives a package that Jerry suspects could contain a bomb. Jerry encourages Leo to open the package over the phone, and hears a loud explosion when Leo opens the box. Leo was unharmed although he did lose his eyebrows in the explosion. Jerry: Hello there, how’re you doing? Leo: Ha ha! How are you? Leo: How’s your mom and dad? Leo: What are you getting to be too much of a big shot now to give me a call? I don’t hear from you anymore! Jerry: Oh, no. I’ve been kinda busy. It’s all. Leo: You know where I just came from? Danny Barma. Leo: He used to be in the pajama business. I used to be able to get pajamas for free. I used to come over and get pajamas all the time! Uncle Leo: They give you some portion here, huh? Jerry: Uh, yeah. Hey uncle Leo, I hope I wasn’t uh, rude to you that day I bumped into you on the street. Uh, I really did have to get to a meeting. Uncle Leo: Aw, no, no, I understand. I got plenty of friends in showbusiness. I know you’re all very busy. Uncle Leo: Yeah. In fact it was right after I ran into you. Jerry: Oh, heh. You know, a friend of mine has a watch just like that. I’d love to replace it for him as a gift. Uncle Leo: Well, I haven’t seen too many like these. Jerry: Hang on a second. I got a little proposition for you. Uncle Leo: I just talked to Dr. Denvro’s son. He said they almost had to call the police. Morty: What are you talking about? I’m the one who should have called the police. They stole my wallet. Uncle Leo: You know how hard it was for me to get thjat appointment for you? You can’t just walk in on this guy. He did me a personal favor. Uncle Leo: You walked out without paying. Morty: How was I supposed to pay? I didn’t have my wallet. Uncle Leo: Well, I hope you sent him a check. Morty: That’s the second time you said “personal favor”. Why do you keep saying that? Morty: Twice! And Dembrowdoesn’t even know you. His son happens to live on your floor. Uncle Leo: He likes the spots. Marty: So, if you or your wife want to drop by on Wednesday, it should be ready. Uncle Leo: You got married? I wasn’t invited? Nobody sends me an invitation? Uncle Leo: Haven’t I always been a good uncle? Uncle Leo: When he was younger, he had a beautiful penmanship. I used to encourage him to print. Jerry: I’m a good printer. 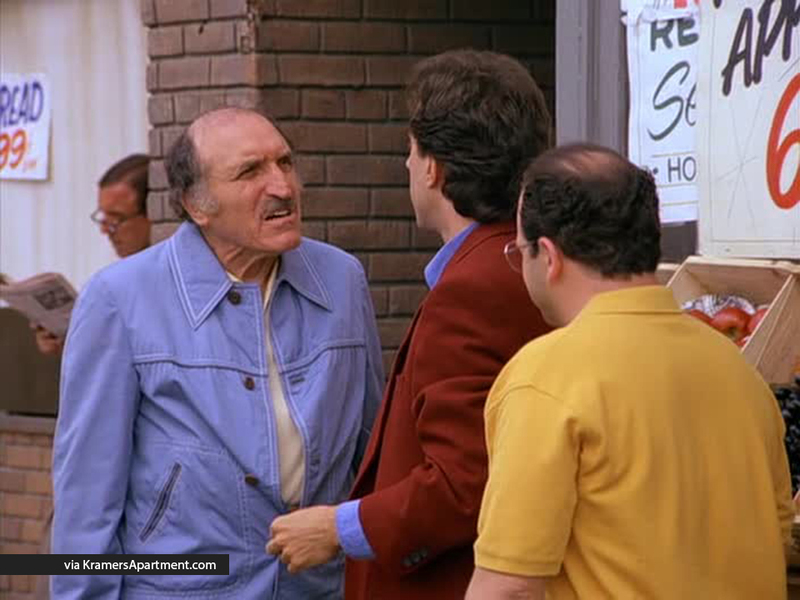 Uncle Leo: I remember your ‘V.’ It was like a perfect triangle. Whoa, there’s my bus! Jerry: Uncle Leo! Listen, I don’t want to alarm you, but your nana is missing. Uncle Leo: I came to pick her up for a doctor’s appointment, she wasn’t here. I called the doctor, nobody knows where she is. She hasn’t left the apartment in twenty-five years! Uncle Leo: Ma! Again with the ketchup? Don’t they have ’em in the plastic squeeze containers? Uncle Leo: What’re you doing here? 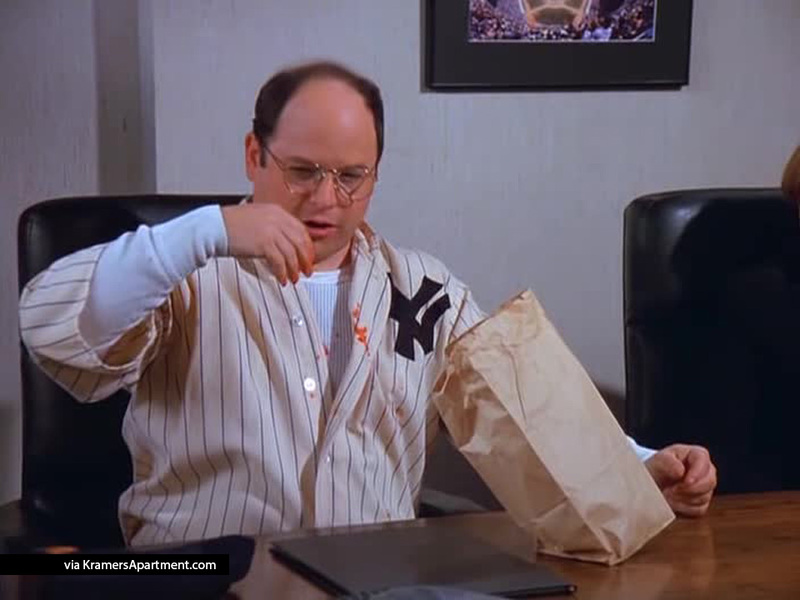 Jerry: Nana called me to open the ketchup bottle. Uncle Leo: Yeah, me too. Stella: We saw you on “The Tonight Show” last week. Uncle Leo: I thought Johnny was very rude to you. He didn’t even let you talk. Uncle Leo: You need some new material. I’ve heard you do that dog routine three times already. Uncle Leo: It’s about time you called your uncle. We’ve got to do this once a week. Uncle Leo: Hey Danny . Hello . How are you? Postal Worker Danny: Hey Leo . Leo what’s up with your nephew. He wouldn’t except his package. Jerry: So, Leo, how’s everything? You doin’ Okay? Uncle Leo: I still have the ringing in the ears. Sounds like the phone. Jerry: Yeah, yeah. But what about money? Are you strapped? Do you need a little? Uncle Leo: What, are you kidding? I should you loaning you money! …But I’m not. Jerry: Leo, I saw you in Brentano’s yesterday. Uncle Leo: Why didn’t ya say hello? Uncle Leo: You still say hello. Uncle Leo: Oh, they don’t care. We all do it. Uncle Leo: Senior citizens. No big deal. Uncle Leo: Arrested? Come on! I’m an old man. I’m confused! I thought I paid for it. What’s my name? Will you take me home? Jerry: Uncle Leo, I’m sorry. I didn’t know about your.. past. Uncle Leo: You mean my crime of passion? If anyone betrays me, I never forget! 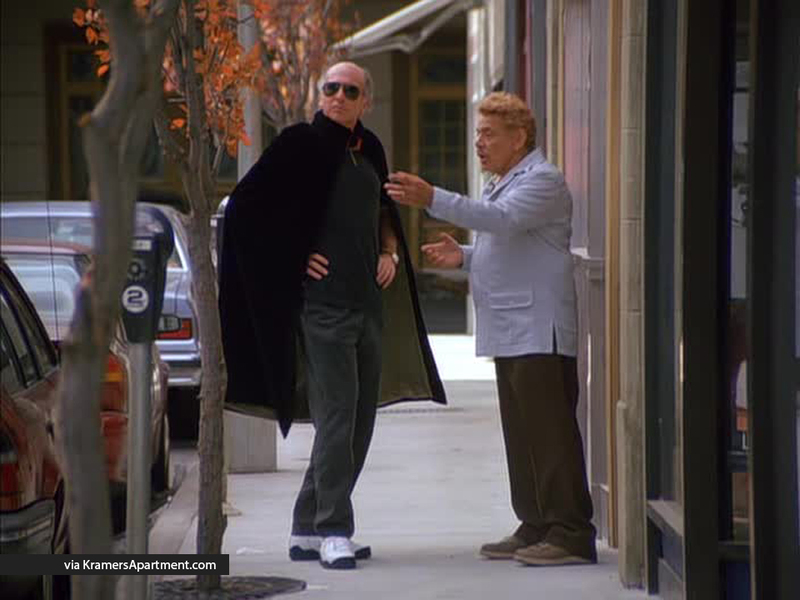 Jerry: Uncle Leo, wait! Hello? !